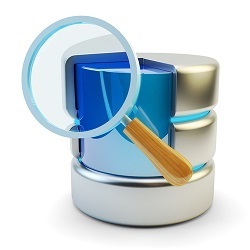 MySQL replication enables data to be replicated from one MySQL database server (the master) to one or more MySQL database servers (the slaves). However, imagine the number of use cases being served if the slave (to which data is replicated) isn't restricted to be a MySQL server; but it can be any other database server or platform with replication events applied in real-time! This is what the new Hadoop Applier empowers you to do. This is a follow up post, describing the implementation details of Hadoop Applier, and steps to configure and install it. Hadoop Applier integrates MySQL with Hadoop providing the real-time replication of INSERTs to HDFS, and hence can be consumed by the data stores working on top of Hadoop. You can know more about the design rationale and per-requisites in the previous post. Hadoop Applier replicates rows inserted into a table in MySQL to the Hadoop Distributed File System(HDFS). It uses an API provided by libhdfs, a C library to manipulate files in HDFS.